Mosquitoes are little insects notorious for spreading several life-threatening diseases on the surface of the earth. 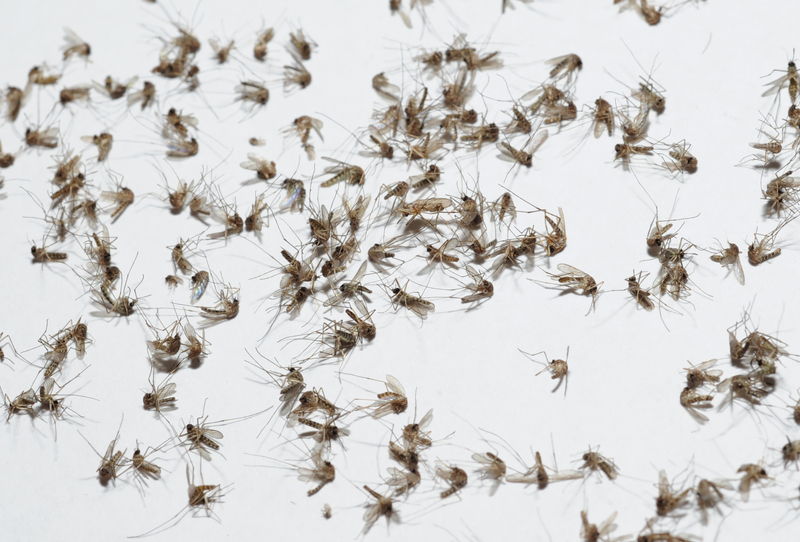 The likes of malaria and Zika virus would be the first to hit your mind, but keep in mind that mosquitoes have been responsible for carrying numerous more varieties that have the ability to not only infect a human, but animals as well. 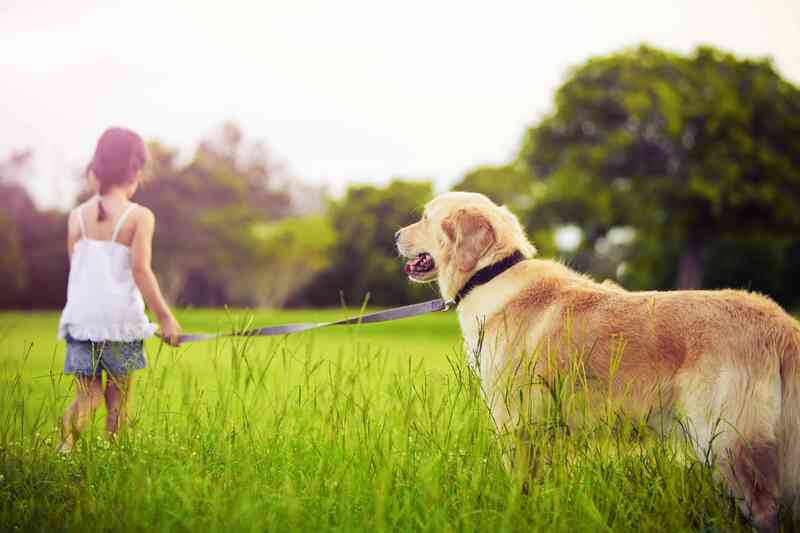 We spend most of our time on this website discussing how to prevent or control mosquitoes and ticks, but it is useful to understand the diseases they can carry as well. We will take a look inside some of the most common diseases in North America that have contributed to taking the lives of millions of people every year. Note that there are more than 3,500 different species of mosquitoes, and almost 200 in the United States alone. Each species has its own characteristics and ability to carry disease. That means that while one species might be a carrier of, say, Zika, another might not be capable of carrying it. That is why it is important to know what mosquitoes tend to live in the area you live in or are traveling to — because that will make a difference on the types of diseases you need to defend against. 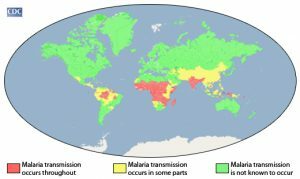 As shown by the CDC, Malaria tends to a high risk in areas of South America, Africa, and Asia that are near the equator. Malaria tends to be a relatively ancient disease with evidence showing its existence as far as 2700 BC, when ancient Chinese medical writings stated some characteristics of a certain disease that would later be referred to as malaria in the modern world. The disease holds great significance in history. During the fall of the Roman Empire, malaria had been one of the main contributors to the downfall of Rome. Studies have shown that the disease originated in Africa. The primary vector of the disease is the female Anopheles mosquito, which transfers the Plasmodium vivax (protozoa) that leads to malaria in the host. The mosquito is known to be active during the period between 9 pm, and 5 am and hence, sleeping under a mosquito net is an effective way to avoid lethal bites. Although, it can be treated via antimalarial drugs, cases still spur up in the United States. By 1960, malaria had been somewhat eliminated from the USA, but recurring travellers and soldiers returning from war played a part in reintroducing the disease in America. About 1500 cases are still diagnosed annually in the States. By Now, you have gotten lots of news on how the Zika virus is spreading rapidly worldwide. While it is still relatively rare in the US, the disease’s effects make it one that you need to take seriously. Zika is a mosquito-borne illness that has been accredited to the Aedes species of the mosquito. Unlike the species that carries the malaria parasite, the Aedes mosquito is mostly active during the day, so prevention methods such as using a mosquito net at night are ineffective. The history of the Zika virus dates back to 1947 where it was identified in monkey inhabitant in Uganda. However, the first Zika virus to be discovered in humans was reported in a Nigerian town in 1954 and with outbreaks following into the Pacific Islands and Asian territories. According to WHO, the Zika virus is now considered to be a Public Health Emergency of International Concern. 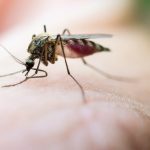 The main nations to be affected by this outbreak include Argentina, Brazil, and other consequent South American nations while Mexico seems to be the main hub of the Zika virus in North America. Although the symptoms are very similar to that of malaria, they occur in only 1 out of 4 people infected with the virus according to Pan American Health Organization. It can easily be transmitted from a pregnant mother to the child leading several complications like stunt growth, mental retardation, and seizures. Additionally, there have also been cases of the disease being spread via sexual contact, so infected people are advised to refrain from sexual activities. Dengue is another viral infection spread by the Aedes mosquito species (same as those responsible for spreading the Zika virus). Although it has a low mortality rate, it can lead to severe symptoms including a severely high fever, headaches, pain behind eyes and fatigue followed by a severe case of muscle and joint pains. It is hugely prevalent in the Americas, Asia, and Africa. Countries like Puerto Rico have experienced one of the largest outbreaks of dengue in recent history, leading to about 21000 cases to be reported. Despite not having a specific treatment, early diagnosis and proper clinical care have seen the successful recovery of those infect by the virus. In the U.S., West Nile Virus shows up mostly west of the Mississippi River, all the way to California. West Nile Virus (WNV) is the most common mosquito-borne illness in the United States. WNV is a very common infection spread by mostly female mosquitoes carrying the virus. Although, birds are the usual targets of the vector mosquito, humans tend to be affected as well. 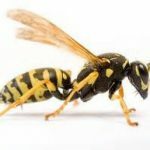 One thing that sets WNV apart from diseases like dengue and malaria is that most people experience little to no symptoms at all, so the virus silently takes over the host, leading to several complications in a human including West Nile encephalitis, West Nile meningitis and West Nile meningoencephalitis. These diseases affect the brain and the spinal cord, which may cause acute flaccid paralysis in human beings. While symptoms rarely appear, those who have experienced them complained about a sudden fever, headache, and skin rashes. The virus mostly persists in Africa, Europe, and the Middle East. For the USA, the first case was reported in 1999 and since then every state in the USA, except Hawai and Alaska, has had at least one case of a person being infected with WNV. The same case is for Canada. The yellow fever is mostly transmitted to humans by the Aedes and Haemogogus mosquito species. It is an acute viral haemorrhagic disease, which usually doesn’t show any signs and symptoms in the host that has been infected. However, patients that do experience symptoms come across fever and a prominent backache. There have also been cases where the symptoms disappear completely after a short period. A small percentage of patients can enter a second, more toxic phase of yellow fever, which occurs about a day after recovering from the initial symptoms. A high fever may be experienced followed by severing body aches due to the system being infected. The disease targets organs like the kidneys and the liver and has a mortality rate of 50% in patients who enter this toxic phase. 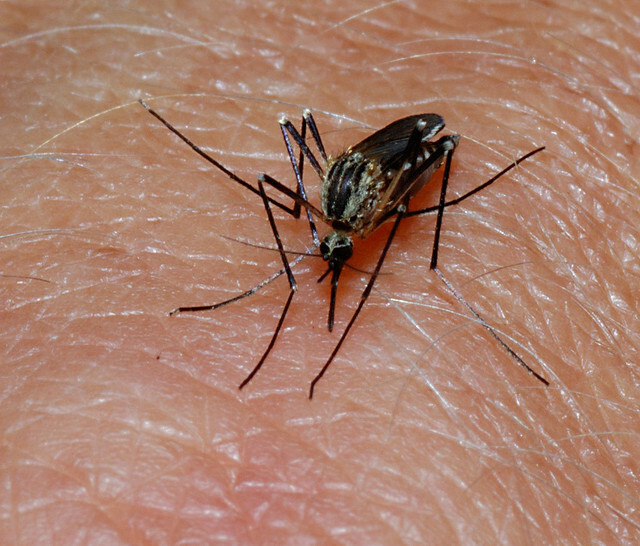 Eastern Equine Encephalitis (EEE) can be transmitted to horses and humans by infected mosquitoes. It is among the most serious of a group of mosquito-borne arboviruses that can severely affect the central nervous system. EEE is usually found in freshwater swampland located in the Atlantic, and Gulf Coast states in the eastern part of North America, Central and South America, and the Caribbean. It has a complex life cycle involving birds and a specific type of mosquitoes including Culex species. The mosquitoes, when feeding on the infected birds, acquire the EEE. EEE cannot be transmitted from humans or other mammals because the viremia presented in the disease is not adequate for further transmission. Thus, humans and other animals are known as “dead-end hosts.” Symptoms rarely show, but when they do appear, they include fever, headache, and sore throat. Severe infections of the central nervous system can cause a sudden fever and severe headache followed by seizures and a possibly of a coma. About half of these patients can pass away from the disease and those who do survive, may suffer permanent brain damage and require lifetime institutional care. No specific treatment exists up to date for humans although infected horses can be treated with a vaccine. These are some of the many diseases spread by mosquitoes, and while some of these have no cure, it is best to avoid getting bitten in the first place. So be on the lookout of these flying devils and keep a mosquito repellent with you at all times. 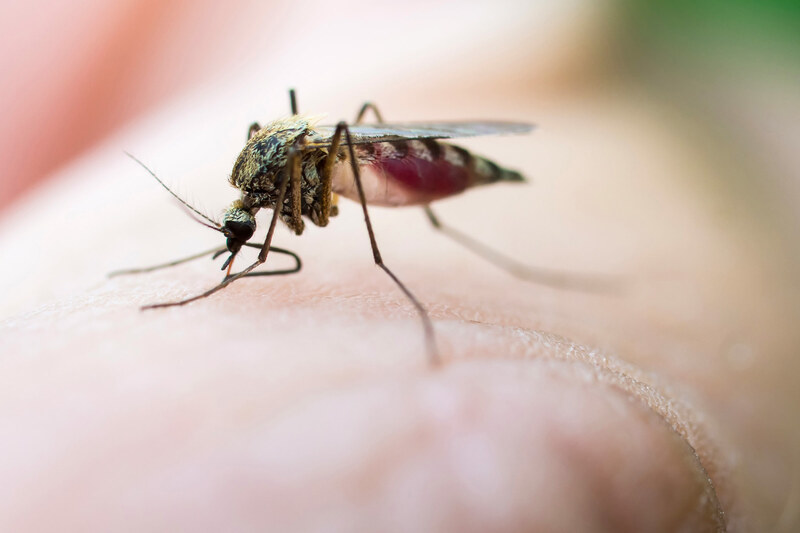 As with so many things, when it comes to mosquito bites, an ounce of prevention is worth a pound of cure!